There's a new book out by Annie Jacobsen entitled Area 51: An Uncensored History of America's Top Secret Military Base. Since I have a science fiction manuscript pending, called The Roswell Chronicles, I was interested in this had to spend a decent amount of time today reading. In her book, Ms. Jacobsen makes several arguments about the legendary, ulta-secret facility known as Area 51. One of her reports, and the one that I'd like to talk about the most, is the contention that the aliens who crashed in the New Mexico desert in summer of 1947 were actually the result of a Soviet human experimentation program that was design to educe panic within the American population. Before I go further, I believe a brief excerpt from Ms. Jacobsen's book is order. This is the crux of her assertion. What is firsthand information is that he worked with these bodies [of the pilots] and he was an eyewitness to the horror of seeing them and working with them. Where they actually came from is obviously the subject of debate. But if you look at the timeline with Josef Mengele, he left Auschwitz in January of 1945 and disappeared for a while, and the suggestion by the source is that Mengele had already cut his losses with the Third Reich at that point and was working with Stalin. Quite frankly, I don't believe her assertion. If there were 13 year old child aviators who crashed in the summer of 1947 then they would have had to have been born sometime in 1934 and likely conceived in 1933. The problem, of course, is that Josef Mengele didn't graduate from the University of Munich until 1935. He didn't begin his experiments on humans until years after that. Since these supposed child aviators would have already been born and largely developed by the time Dr. Mengele came onto the scene, it's quite doubtful that he would have been able to genetically modify them to anywhere near the extent that is alleged is Ms. Jacobsen's book. Since genetic modifications are essentially out of the question, that leaves surgical modifications as the only remaining option. That, however, is even less likely than a genetic modification, in my opinion. One of the modifications that were supposedly made was to enlarge the child aviators eyes considerably to give them the appearance that has since become legendary. My first problem with that is that enlarging the eye to such a degree would also require surgically enlarging the eye socket in order to accommodate a larger eye. Carving and manipulating the skull in such as way is theoretically possible, but it doesn't seem likely. 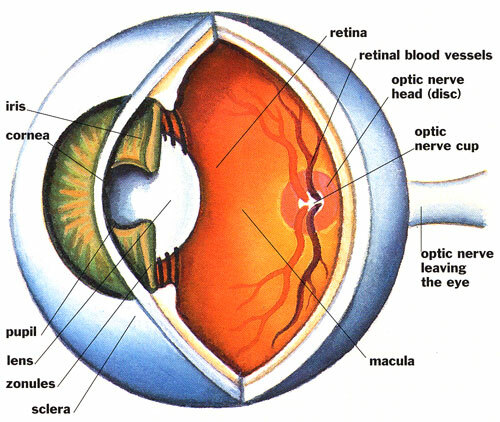 Of course, the big issue with such as theory is that a functioning eye is fairly complicated. 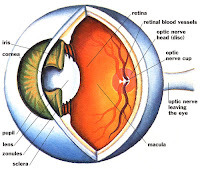 Enlarging the eye would likely mean that light entering through the iris wouldn't hit the rods and cones at the back of the eye properly in order to produce an image that the brain could interpret. If Ms. Jacobsen's assertion was true, these child aviators would have had vision so poor that they would never have been able to pilot an aircraft from the Soviet Union so that it could crash in the New Mexico dessert. Other problems with Ms. Jacobsen's theory include the fact that such extensive surgery on the bodies of these so-called child aviators would be readily obvious on an any autopsy. This would make it easy for anyone to discredit them as not being aliens from outer space, thus bringing an end to wide scale panic that Josef Stalin hoped to create. Based on all of this, I find Ms. Jacobsen's theory that the aliens who supposedly crashed in Roswell were actually child aviators highly doubtful. However, in spite of this, I do believe most of the other things that Ms. Jacobsen wrote about in her book. I believe that Area 51 is dedicated to conducting super secret experiments for the military and other government agencies. This, of course, does not mean that an alien spacecraft couldn't have been taken there more than half a century ago. None of this, of course, proves that an alien spacecraft was taken to Area 51 nor that such a craft ever existed. But that will have to be the subject of another post.